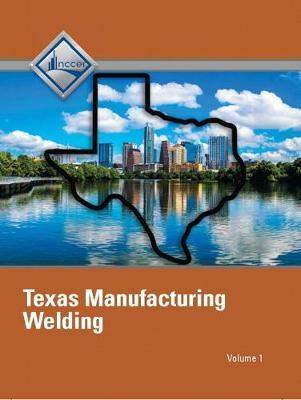 This custom text meets Texas standards and contains modules from Core Curriculum: Introductory Craft Skills, 5E and the Welding curriculum. This exceptionally produced trainee guide features a highly illustrated design, technical hints and tips from industry experts, review questions and a whole lot more! Volume I: Key content includes: Basic Communication Skills, Basic Employability Skills, Fundamentals of Crew Leadership, Basic Safety, Welding Safety, Introduction to Construction Math, Introduction to Construction Drawings, Joint Fit-Up and Alignment, SMAW - Equipment and Safety, GMAW and FCAW - Equipment and Filler Metals, GTAW - Equipment and Filler Metals, Welding Symbols, and Reading Welding Detail Drawings. An electronic version is also available in VitalSource. Included in the Teacher Edition is access to online instructor resources containing the Test Bank, Lesson Plans, PowerPoints, and other support material.